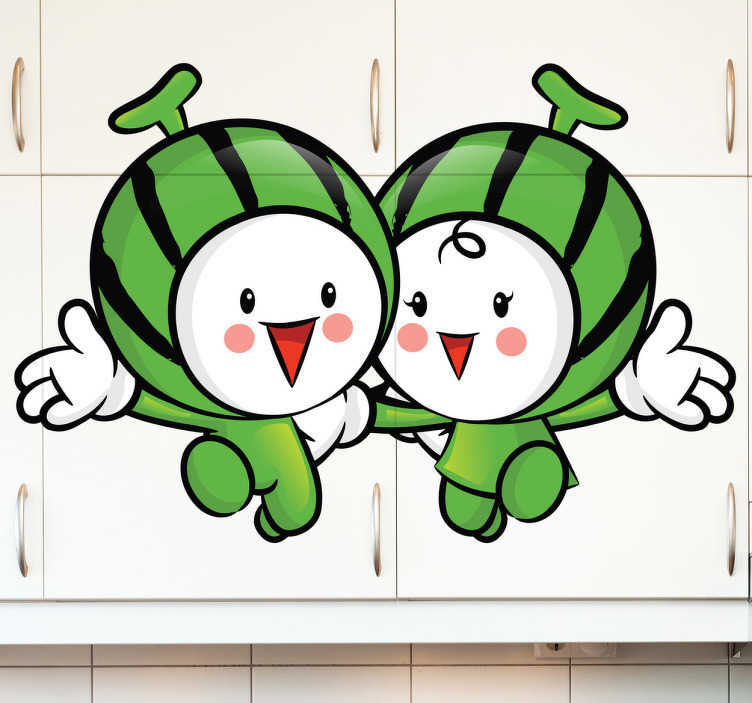 Decorative sticker of two watermelon friends that are running happily! A great watermelon decal to place in your kitchen! Is watermelon one of your favourite fruits? Do you want a sticker that will make you smile every time you walk into the kitchen? This is the perfect fruit sticker for you! Watermelon decorative decal available in different sizes.